Seattle Seahawks defeated the Denver Broncos 43-8 to win their first ever Super Bowl on February 2, 2014. The Seahawks are among the youngest teams to ever win the Super Bowl. Malcolm Smith earned MVP honors with two great players against the Broncos best-ever NFL offense. Russell Wilson is the third youngest quarterback to win a Super Bowl and just fourth to win in his second season. The Seahawks victory parade is scheduled from 11:00 a.m. to 1:30 p.m at downtown Seattle. 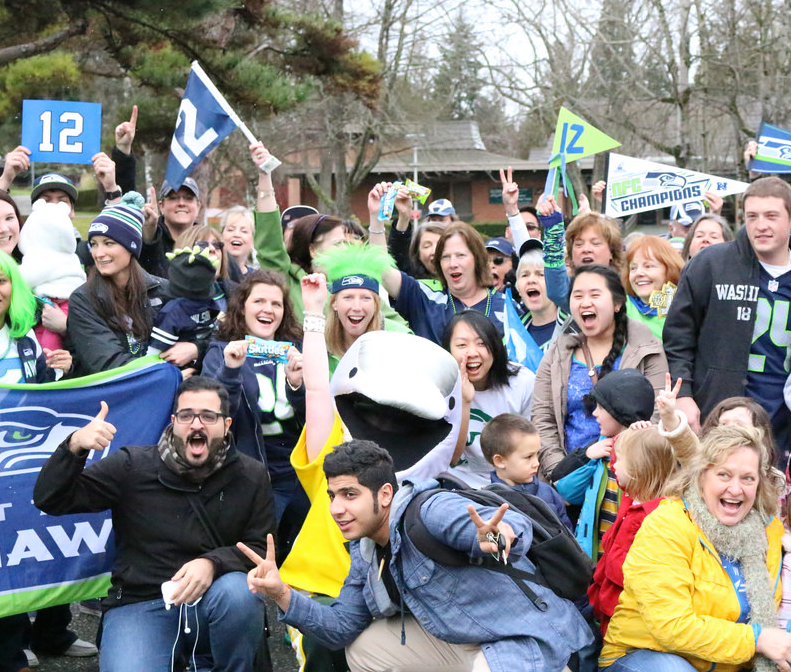 You can view more pictures via #12parade. Shoreline Community College is celebrating the great victory at the flagpole outside the 1000 Building to raise the 12th (wo)man flag and our voices at 12:12 p.m on February, 5th.